Unveiled at our 113th Annual Membership Meeting, our 2018 Annual Report breaks down our chamber's work by the numbers. 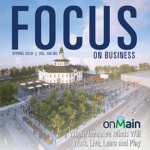 Inside this issue: 'On Main'; Opportunity Zones; Video Marketing & more! Introducing Chamber Plus: A whole new level of chamber membership. Now accepting applications for the next Empower cohort. The Dayton Area Chamber of Commerce is made up of more than 2,400 members. Search by company name, industry or location. The chamber chooses strategic public policy priorities to ensure a business friendly environment. Being a member means networking, business exposure, cost savings and more. Businesses come in all shapes and sizes. There's a chamber program to serve your unique needs. Find out what careers are most in demand in the region and how you can earn the skills you need. We advocate for business, plan events, and keep the local business community connected. 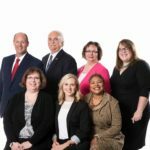 Meet the chamber's key management. 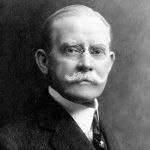 Since 1907, we have served a 9 county region in southwest Ohio, providing a forum for the innovative leaders who later became household names. 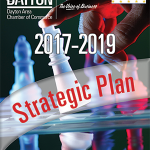 The Dayton Area Chamber of Commerce strategic plan is written every two years by volunteers, and it guides the chamber's message, mission and values. The chamber's quarterly magazine gives members a closer look at business issues, member stories and the chamber's advocacy efforts. We’d be happy to answer your questions! Call or fill out the form with your question or comment, and a Dayton Area Chamber staff member will contact you within one business day.